In recent times, some types of genetic testing, like both diagnostic and predictive testing, have become more popular. These tests offer the potential to identify whether a current health condition might be affected by your genes, or whether you have a higher likelihood of developing certain conditions. Although these tests can offer some insights—such as whether your genes are processing glutamate well or producing too much or little estrogen—their predictive abilities should still be taken with a grain of salt. The science is still new and the effect of a few genes on an entire body is complex and not entirely understood. Likelihoods and probabilities are not certainties. In many cases, a traditional method of treatment and tailoring based on individual response can still be the best course of action. However, if you are facing a complex health condition, genetic testing may help shed additional light on your case. Dr. Michael Ruscio, DC: Hey, everyone. Welcome to Dr. Ruscio Radio. This is Dr. Ruscio. Today, I’m here with Dr. Tom Ballard, and we’re going to be talking about gene testing, and gene therapies. Tom, welcome to the show. Dr. Tom Ballard, ND: Hey, thank you. Nice to be here, Michael. When to act on the results of gene testing? Do gene tests determine our fate? DrMR: Yeah, it’s nice to have you here. I’m looking forward to further elaborating the conversation we’ve had on a few podcasts about genetic testing and treatment. As I mentioned just moments ago when we were pre-recording, I’m open to the realm of gene testing and gene treatment. But I also have a fair amount of trepidation, because I haven’t seen the best case always made. So I walk into this conversation really curious to pick your brain because, of course, there’s a rationale for what you’re doing. I’m hoping to better understand that rationale, help the audience better understand, and help people know, in a more precise way, when to consider gene testing and the kind of benefits it might be able to offer. DrTB: Well, good. I hope I can help. I mentioned to you before, I’m a bit surprised. I’ve been doing this for about eight years now. I’m a little surprised that more people haven’t gotten what I feel is a very important advance in medicine, and so anything I can do to spread the word is good. DrMR: I think that’s great. Why don’t we start just briefly with your background? You mentioned you’ve been doing this for eight years, so I’m curious how you stumbled into this and what transitioned you into the world of gene therapies. DrTB: Well, briefly, I got into medicine, didn’t really want to become a MD, which was the only medicine at the time that I knew, so I went to nursing school. I became an emergency room nurse. Then I found out about naturopathic medicine. I went to a naturopathic medical school, graduated in 1982, practiced for 35 years in Seattle. Like I mentioned, about eight years ago, I started seeing little articles about genetics. I went to some seminars, and it just blew my mind. I was what other people would call a traditional naturopath. In other words, I was grounded in nutrition, detoxification, and sort of basic therapies. I wasn’t into homeopathy, I wasn’t into some of the other aspects of what people call naturopathic medicine. I really believed in the scientific model. I really believed that we needed to be using therapies that were verifiable and that we had plenty of evidence for those therapies. It just wasn’t broadly publicized. That really fueled my interest in what’s called personalized medicine, this idea that each person is an individual, that we’re all different, and we need to treat them as individuals. Many years ago, it was Roger Williams, the famous researcher, who talked about biochemical individuality, which is basically the same thing. We’re all individuals. We have a little bit different soup inside of us, and we need to spice that a little differently, you might say. Genetics really fed into this idea that—as I put it in my writings—we all know we need to eat well, right? We need to eat good, organic, healthy, fresh foods. This is well-proven in the literature. But what distinguishes your particular needs, Michael, or your audience’s from mine? You might have what we call a genetic variation or a SNP that makes it so you need more vitamin D. Your vitamin D receptors aren’t as good as mine, so you need to be getting more vitamin D. On the other hand, I may have bad genes for recycling vitamin B12. By having this information, I can start with a basic diet of good, healthy, organic foods, but I can also tweak that a little and say, “Oh, I need to make sure that I am getting a little bit more vitamin B12 than the ‘average person’ might need.” You might do the same thing for vitamin D, and another person might do it for something else. Now, this gets more and more elaborate. You can get into this in bigger detail. There are vitamins. There are neurotransmitters. There are hormones. There are all sorts of things that are affected. But we are individuals, and I believe that we’re right at this introductory phase, right now, of having this information about genetics that’s going to open up a huge window into this personalization. Just to add one more detail, the idea is that this is a new science and, of course, there are lots of problems with it. It’s just like 70 years ago, measuring blood fats and cholesterol was new. People had to scratch their heads and work with it for a while before they figured it out. That’s where we are, multiplied by 1000, because genetics is much more complicated. But I think we do have enough information right now to start this process. It’s going to improve. It’s going to improve vastly, but I think we have enough information now to start that and start introducing it into people’s lives. Are Gene Studies Robust Enough Yet? DrMR: Right. Tom, before we go there, and I definitely do want to get there, let me pose a question here that may help align us. I agree with your point that we’ll likely get to a point, almost certainly, where the gene testing is more accurate and more clinically applicable than it is now. Just with progression and time and effort, we should see an advancement of the science. Yes, completely agree with you there. I think, perhaps, where we’re in a polite disagreement could be whether or not we’re far enough along yet to where it makes sense to intervene. This is where I’m hoping you’ll convince me otherwise. The question I struggle with is, what evidence are you basing that comfort upon? Let me just layer in one or two things here as the groundwork for where I’m coming from. There have been a handful of trials that have tried to look at treatment of one gene and not treating that gene. You have a group of people. They all have, let’s say, this polymorphism. Much of the research, from what I’ve seen—and this may be a weakness—has looked at one polymorphism. As an example, MTHFR. That may be a weakness, because it’s not looking at the totality of genes and trying to make a recommendation based upon a broader number of polymorphisms. But nonetheless, there have been some trials that have tried to look at one gene. We treat half the group for this gene, and we don’t treat the other half. The majority of these studies, not all, but the strong majority, have not found that the gene predicted responds to therapy in the way we thought it should. Perhaps there’s something there, in terms of studies, that I’m not aware of. Or perhaps there is a theoretical premise that’s in need of repair or being addressed. As an example, perhaps it’s looking at the entire genetic profile rather than looking at a SNP. But when that question is posed, how do you respond to that? DrTB: I think that it is obviously a complicated issue. And we’re not visual here, so I can only describe. What I often do at the beginning of my talks that I give to nutrition groups and people is, I have this diagram that has several thousand chemicals on it, pathways connecting them, and how they’re related, just to show how complex the human body is. We are, like I say, a soup of all these things. I think it’s a fallacy that we’ve been taught by the drug companies, that you can go in and affect one tiny little tidbit of this vast network of interactions and confine it there, so it’s complicated. I think the other thing is that testing, any kind of testing, has to depend also on the clinical setting. What would be a good example… look at how cholesterol has evolved. Well, let’s not go there because that gets into a bit more complication. The simple answer is to say that it’s complicated. You can’t take even one gene and say, “Okay, this is a problem.” You have to correlate it with what’s going on in that body. On the other hand, you could look at the MTHFR and say, “Okay. Here is another gene that looks like it might be giving you problems. Let’s look. Do you have any of these problems associated with it?” They say, “Yes. I have this and this and this.” Then I say, “Well, that gene is associated with the vitamin folate. Are you eating lots of green, leafy vegetables? Are you getting folate in your diet?” They say, “No. I hate vegetables.” Then the conversation proceeds from there. DrMR: You mean like a virtual consultation? One of the things that I don’t think has gotten through—definitely not to the public and even to a lot of medical professionals—is that the Human Genome Project proved our medicine, in that we’ve always said people are individuals and there is a nature-nurture balance. We are born a certain way. That’s our genes. Now, we can look at those and study those. But the nurture part of that, how we live our lives, it’s a 50/50 proposition. We can have bad genes and still be very healthy, and we can have great genes and still be very unhealthy. You know? DrMR: Sure. Tom, here I think we’re in complete agreement that personalization of treatments all the way from diet up through more specific treatments is usually a very good idea. That there does need to be personalization. I think there are many examples of that, where there are a number of therapies that work, but the role of the clinician is to personalize a given therapy to the individual. So I agree with you there. Now, it sounds to me like what you’re doing here is, you have a number of genes that you’re testing, and these genes break down to functional categories. So you’re looking at these gene categories, if you will, and overlaying them next to the patient presentation, and looking for obvious points of connectivity. If the person has multiple genes flagging, showing that they’re at risk for not well-processing blood sugar and they have diabetes, then that’s where you’re going to intervene. Is that kind of a loose description? Does Gene Testing Enhance Personalized Treatment? DrMR: Okay. Here’s the question I ponder, which is, how does the gene testing make you any better than just looking at someone and saying, “Well, you have prediabetes, so let’s first try you on a low-carb diet and see how you do. And then if, paradoxically, your blood sugar goes even higher, maybe you’re someone who actually does better on a low-fat diet for their blood sugar.” That’s the main thing that I ponder. How do the genes enhance just trying the available treatments and personalizing the available treatments to the individual? I think the thing about genetics is that it takes it down to another level. That’s why it often attracts the patients who have tried those things and still been stumped. They’ve tried the diet that was proposed to them or that worked for their neighbor, and it didn’t work for them. Then you can look at their genes and go, “Okay, there’s 10 genes here that may be increasing your risk of arthritis. Let’s see which ones are hot, so to speak, and address those.” It’s a further level of personalization. It takes a bit of the guesswork out. You still have to test your hypothesis and see if that’s really the thing, but it helps take out some of the guesswork. DrMR: Okay, so that’s completely fair. And that’s one of the things I’m hoping to glean from this conversation is where, selfishly, might I be able to sharpen my clinical precision? What I’d like to do is go through a couple examples and really try to get into some of the particulars. We’ve touched on blood sugar. We’ve touched on cardiovascular. We’ve touched on rheumatological. Are there a couple areas that you tend to see a lot of, where you can say the gene testing specifically helps you guide someone to a specific treatment? DrTB: Well, there’s several. The one that comes to mind first is what I call the area of food sensitivities. These are the people who used to really puzzle us in clinic… the people who don’t have classical allergic reactions. It’s not an antibody, you eat this food and you have an anaphylactic reaction. They’re people who are saying, “You know, sometimes I eat this and I feel fine and, other times, I eat it and I feel terrible.” Or “I just never can figure out why, from one day to the next.” There’s a couple of gene sets, depending how much time and how much you want to get into this, we could talk about it. Let’s say, for example, there are these genes that have to do with processing glutamate. Glutamate is a normal protein that we all get a certain amount of in our diet. It has a whole bunch of genes, dozens of genes to help regulate it. So that, to me, means it’s really important, right? The body is trying to keep it well-regulated. Some people don’t do this very well. They don’t eliminate it. The thing about glutamate is that if you get too much of it, it excites the nervous system. It can be quite irritating and, in extreme cases, it can actually cause people to go into seizures. Again, stop me if I’m going on too long, but there’s a set of genes that have to do with clearing histamine from the body. We all need histamine. We think of histamine as a bad thing, but it’s actually a very important chemical in our bodies to help regulate all sorts of function. It affects our brain. It affects our hormonal systems. It does all sorts of important things in our body but, as people with allergies know, if you get too much histamine, then you get too much inflammation, typically in your nose and eyes, itching and that sort of thing. But it can also affect these other organ systems that are sensitive to histamine. If you have the gene set that is predicting that you’re not clearing histamine very well, and you’re eating a lot of foods that are high in histamines, then you may be running into problems. That would be the person who’s saying, “Some days, I eat these foods and I feel just fine and, other days, I eat these foods and I feel terrible.” What’s happening in this example is, certain days, they’re eating a lot of high-histamine foods. They’re eating fermented foods, because they’ve been told fermented foods are good for them. They’re drinking wine. There are a lot of foods that have histamine in them. Going back to what you said earlier, before genetic testing, I could have guessed at this. I could have looked at their diet, and I’d say, “I see you’re eating a lot of histamine-rich foods. Why don’t you try cutting these down for a while?” but it’s difficult because there are a lot of histamine foods. It’s actually impossible to not eat foods that have histamine in them. All you can do is cut down on the amount of histamines that are in there. You can also take certain vitamins, vitamin B6, magnesium, that help these genes work better. I talk about this in this book I’m working on now. You can hit this from several different angles. The detoxification angle would be, “Oh, I can cut down on the amount of histamine foods. I can also space them out over the course of the day. I can not eat a whole bunch of them for breakfast and then feel lousy all day.” That’s the “detoxification” way of treating it. You can also say, “Hey, B6 helps these enzymes work better, so I’m going to take a little extra B6 in my diet.” I can also say that stress increases the release of histamine. “So I’m going to make sure that I’m doing some de-stressing activities in my life, meditation, or prayer,” or whatever it happens to be for that person. You’re hitting it from several different angles. The overall effect is, you’re reducing the exposure to histamine and reducing these non-allergic reactions. There are other ones. I don’t know if you want me to go on. DrMR: Yeah, let’s pause for a second. That’s actually really helpful. This, truly, again, is really helpful getting into the specifics. I think it can help clinicians who may be practicing a specialty similar to myself, in a gut-focused model, determine when gene testing might be the most viable for a consideration. Let me just say this first. I would disagree, perhaps, regarding histamine, but I’m more in agreement or more curious regarding glutamine. Let me give the reason why. Then I’m curious to hear your response on this. Firstly, I do agree that that is something that’s very clinically relevant. And I’ve seen marvelous abilities for patients to be more histamine-tolerant and to get over their histamine intolerance symptoms by modulating their diet. That could include a low FODMAP diet— which has been shown to lead to an eight-fold decrease in histamine, according to one study—or a low-histamine diet. Also, with getting their gut healthier, there’s this whole dysbiosis-immune-reactivity-histamine-release windup that happens in the gut. And by just taking some simple steps to optimize the environment, my thinking is we need to be much less concerned about the genes. I think if we are doing a good job with getting someone’s gut environment healthy, then much of the histamine piece should take care of itself, irrespective of the genes. Not an absolute comment, just my perspective. The glutamine seems to be a little bit more slippery, something that may be harder to get your hands around clinically. So I see potentially—at least for the holes that I have in my clinical model—that might be more informative to me. I do want to move through a few more of these. I think this exercise, going through some of the most common examples, is really helpful. But to my comments, anything that you want to say in response? DrTB: Oh, yes. I completely agree. And that’s why, when I talk about a person’s gene interpretation, I’ll talk about the genes, I’ll talk about testing that they can do to verify whether it’s blood pressure, blood testing, or whatever. Then I’ll give them quite a long list of therapies. Part of those therapies, in this particular case, would be exactly what you said. It would be like working on the gut. So I would have a paragraph in there that would say, “You can also be producing a lot of histamine because of dietary factors. And here’s a list of things to look at, and if you have these symptoms, etc., etc.,” so I completely agree. Where I would add a little nuance to that is by saying, while they’re doing those general things to help their diet and lower their histamine, just being aware that it’s the histamine foods that’s triggering their reaction is very helpful to them. Being able to say, “Okay, for this period of time, I’m going to cut down on histamine foods,” and I include a long list of histamine foods while they’re getting better. Unless the genes are really, really bad, it could very well be that, in a month or two of working on their diet and cutting down initially, that they’re able to go back to eating those foods that they were eating before and tolerating that histamine. Again, it’s a nuanced answer to what you’re saying. I completely agree with what you’re saying. Again, it could be that it’s that person who has read this article about how fermented foods are really good for you, and so they’re eating a ton of fermented foods and it’s really not the right thing for them at that moment in their lives, while their gut is not working very well. But it may very well be something that, down the road, they can eat and tolerate very well and then help to improve their health with. DrMR: Hi, everyone. Let’s talk about bone broth and probiotics, both of which helped to make this podcast possible. Functional Medicine Formulations contains a line of probiotics that I personally developed, and I’m super excited to be able to offer you the same probiotics that I’ve been using in the clinic for years and are a byproduct of an extensive review of the literature plus my own clinical experience. In this line, you will find my favorite three probiotics in all three of the main categories that work synergistically to help you fight biosis, like SIBO, candida yeast, and H. pylori, help to eradicate parasites, help to reduce leaky gut and repair the gut barrier, and can improve gas, bloating, diarrhea, constipation, and may even improve mood, skin, sleep, and thyroid function because of the far-reaching impact of the gut. You can learn more about these at drruscio.com/probiotics. I’d also like to thank Kettle & Fire, who makes one of my favorite bone broths. Now, you’ve probably heard that bone broth can help via a variety of mechanisms, by helping to repair your gut, by soothing inflammation and repairing joints, by nourishing your hair, skin, and nails and having this almost anti-aging effect, and this is in part because bone broth is very nutrient rich, and especially Kettle & Fire bone broth, which uses non-GMO, organic, and free-range ingredients, and they really do have an excellent product. 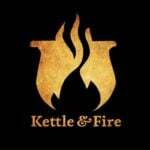 Now, if you go to kettleandfire.com/drruscio, they are going to offer our audience 15% off and free shipping on any orders of six cartons or more, so definitely check them out at kettleandfire.com/drruscio. Agreed. Okay, so some nuance in terms of differences in how we approach this, but I think many philosophical overlaps. What else? What else do you think are some of the most important, impactful areas where the gene testing is informing decision-making? DrTB: Let’s see. I see a lot of patients with anxiety. I don’t know if that’s because we just have a lot of anxious people in our society, or if it’s sort of a self-selection thing, because why they’re seeking help is because they’re not getting very good answers from the doctors they’re seeing about anxiety, and insomnia, and all those things that sort of go along with being anxious or being irritable. Then you get into looking at things like serotonin levels. You look at dopamine. It’s not simple. It’s still very complicated, but if you’re looking at a whole bunch of genes that have to do with mood—there are lots of them, probably 50 genes I look at that have to do with dopamine—you go, “Okay. You have a lot of genes that have to do with dopamine,” or, “You have a lot of genes that have to do with serotonin.” Then you discuss it with the person or you have them discuss it with their doctor. And you flesh it out, because they may be a person who’s just been told to go on some sort of antidepressant that affects serotonin, and they’re not addressing the dopamine issues or vice versa. Or they could be not clearing all of their neurotransmitters very well. We see this a lot. The way I phrase it is, we have to make these things. We have to make, for instance, stress hormones. We couldn’t live unless we had stress hormones. We need them to get through our daily life. But we also need to clear them out of the way in a timely manner. We can’t have them building up in our system and continuing. Long after a stressful event, we don’t want to still be thinking about it, worrying about it, and cursing out the person that we associate with it. We want to be able to get that out of our system. And there are genes that help us do that. So looking at this balance of genes that are making our neurotransmitters, or our stress hormones, or whatever the issue is, and also clearing them, can help us pinpoint. DrMR: There, specifically, you’re getting results for what? Is it estrogen-producing genes that are overly turned on, or is it clearance genes that are not turned off? DrTB: It can be both. But mostly, it’s the elimination ones that I see. I’m not saying that I’m seeing an even cross-section of the population, but I mostly see they’re not being cleared. So you would work on it from helping that person clear them, but you also might be saying, avoid the plastics, avoid taking in things that have estrogen or estrogen-like compounds in them. DrMR: Then, for detox support—I’m assuming you don’t know how to necessarily treat them—something like calcium D-glucarate, or I don’t know if you’re using indole-3-carbinol? What are you doing to treat them, and are you having any specific insights into how to treat them? DrMR: I’m sorry. With that example, would that tell you a certain amino acid to use or a certain B-vitamin to use? That’s what I’m trying to get at. Does it inform a difference in terms of the therapeutics you would employ? DrMR: Would you say, as a quick aside, is that probably the area we have the most research due to pharmaceutical funding? DrTB: We do. We have a lot in that regard. So again, it goes back to what we were saying earlier, though. You approach it from several different angles. You go, “Okay, what can I do to help this gene work better? How can I nurture it, generally through vitamins, minerals, and things like that, but also what can I do on the detoxification level? What can I do to reduce the load on this gene?” You could say, “Well, gee, I already knew that this person was estrogen-dominant because every woman for the past 200 years has gotten breast cancer or some family history that points to this,” but you can look at it in a little more detail and a little more focused when you have the genetic component there. DrMR: Sure. No, that seems fair. I would think, clinically, knowing if you should support a woman’s estrogen, or progesterone production if they’re deficient, or if they may be not clearing, would be beneficial. DrTB: It’s also the balance. It could be that it’s not an absolute. They could say, “Well, I keep getting these tests back. The doctor’s testing my estrogen, and it’s normal,” but they’ve never tested, for instance, their testosterone. So they don’t know what the relative levels are. It may be a relatively high estrogen because the testosterone is so low. There’s all that sort of nuance that comes into play, which you would verify with testing. DrMR: Sure. Okay, so were there a couple other areas that you feel are more beneficial? DrTB: Well, let’s see. There are lots of them. One of them would be—I’ve written about this recently—the idea of who makes a good vegetarian. I’m not speaking for or against vegetarianism, but I’m saying that, if you can show in your genes that you’re possibly not recycling B12 very well, then you’re less likely to be a good vegetarian. Or iron, the same thing. It could be that you’re a person who is going to be chronically needing more iron. Now, you could say, “Oh, I still want to be a vegetarian. I’m just going to take some B12 or I’m going to take some iron,” but those are things that sort of explain why some people do better than others with vegetarian or other kinds of diets also, of course. DrMR: Quick question there, Tom. Is it fair to say that, as we’ve mapped the genome and determined the function of all the genes in the genome, we still, I’m assuming, don’t have fully determined the extent a given gene impacts someone? So we know XYZ gene may impact B12 recycling and utilization, but in terms of, does that have a 1% impact on an individual or a 10% impact on an individual (meaning, is it something that’s meaningful or really negligible), is it fair to say that we don’t have that data really determined for the majority of the genes? So a lot of what we’re doing now is more based upon inference? DrTB: Yeah. That’s completely fair. There’s a lot more information we have, and the information is so complex that I think that we’ll probably have doctors who specialize in just this in the future. They’ll probably have very elaborate computer models that they’ll be able to feed this information into and help sort it all out, because it’s vast. On the other hand, I still think that there’s a lot we can get out of it right now. It’s certainly true of the patients that I discuss this with, who are desperate for answers and, I think, are often helped by the clarity by getting this kind of testing done. DrMR: Sure. So would it be fair to say that we see hints at interventions that might be helpful, but just because someone had a gene report that showed they have a few risk factors for cardiovascular disease, that is in no way definitively tied to their outcome there? DrTB: Yes. I wrote a book called Genetic Health Reports. It just talks about why I think some people should get tested, what a genetic health report looks like, what’s included and what’s not included, what to look for, etc. One of the things that I put as a warning is, for any genetic health report that says, “You have a 38% chance of getting Alzheimer’s disease,” the people who wrote it don’t understand genetics. Because it’s a nature-nurture thing. Yeah, you may have a lot of genes there that are increasing the possibility that you’re getting Alzheimer’s, but you’re living a great life. You’re getting a lot of exercise. You’re eating well. Your stress levels are low, and you’re reducing the possibility of that outcome greatly. This is why my contention is that genetics actually supports natural medicine. It supports this idea that we are whole beings, we need to look at things from a holistic perspective, and that we need to look at nutrition. I mean, we have all of these genes. We have thousands and thousands of genes that are trying to keep us nutritionally-balanced. That, to me, says that nutrition is really important because the body has put a lot of energy into it. We have, like you said, more genes that code for detoxification than probably any other process. In other words, our body believes that detoxification is so important that it’s actually created, or however you want to put it, thousands and thousands of genes to make that happen. DrMR: Agreed. To come back to the earlier part of your point—first, to just echo this because I think this just can’t be overstated—because you see a finding on a gene test, that does not have a direct correlation with what’s currently happening or what’s going to happen. We see some hints and some suggestions that we can potentially intervene with. But it’s very disheartening, watching some people get very stressed out because of one or two genes that they have. They’re being given an overzealous interpretation of those genes and internalizing the results, and they’re causing stress. It’s unfortunate that that occurs because I see it doing quite a bit of damage to people psychologically. It sounds like you try to tread lightly there, based upon what you said a moment ago. But do you want to expand upon just, I guess, the mental health, in relation to interpretation of the results for people? DrTB: Yeah. You’re right…. A genetic health report could be anything from a single-gene report—like the BRCA gene or something like that—to a report that gives you information on 12,000 genes. So there’s a spectrum there. I go more for the ones that are “the more genes the better,” and also emphasize that they’re all working together and that you don’t want to super focus on any one of them, because you can change. And it goes back to what I said earlier. People still haven’t gotten this idea that they can change their genetic outcome. I think it’s so embedded in our society that, “Well, I got the genes. Everybody in my family died of heart disease, so I’m going to die of heart disease.” We still haven’t really embraced this idea that we can change our genetic outcome by how we live our lives. There are very few one-gene, one-disease situations. Most of the diseases that most of us are worried about, thinking about, have multiple genes, dozens of genes involved. And they are all genes where we have some control over how they are expressed. DrMR: You mentioned detoxification a moment ago. I’d really be remiss if I didn’t ask about MTHFR. This, in my mind, has become very problematic, where people are getting this test done and coming in saying that they have MTHFR as if they have inflammatory bowel disease. At this point, it’s just becoming laughable that some practitioners or authors are being so irresponsible with their narrative on this that, somehow, patients are taking this conclusion away. Now, to your point, there may be—for lack of a better term—a certain gene loci that is going to have a rich distribution of genes that are in charge of detoxification. So perhaps there is something that we can take away, when looking at a whole breadth of genes as they relate to detoxification. But what are your thoughts on MTHFR alone? And then what are you seeing with detox, and how are you helping to assist with that? DrTB: Well, yeah, I think you’re right. It’s just a gene that helps us turn folate—which we’re getting in different kinds of foods—into its active form so that it can do its work in the body. As it comes into our mouth, it’s not very active, but we have these genes that take it through several steps to make it function. If you’re looking at that and saying, “Well, everything in my life has to do with it,” that’s not very likely. On the other hand, it could be a huge factor in your life. Again, that comes down to, how bad is the gene? Do you just have one of these genes? Do you have two of these genes? How bad is it? Then the other side of the equation is, what are you doing? Folate is in green, leafy vegetables. Are you eating a ton of those? As often has been pointed out, this gene variation is very, very common. In some populations, up to 70% of people have it, but they never had problems with it until the modern age unless because they had less stress. DrMR: How do we even know they have problems with it? Perhaps there are some correlation data to MTHFR in certain disease conditions, but has that even been well-mapped out? Or is that just based upon supposition at this point? DrTB: Yeah, I think you’re right. There’s a lot of supposition. But we could say, “Well, the Italian population has a high level of these when we test them now. Do they have a lot of the disease and have they traditionally had a lot of the diseases associated with this?” When we talk about cardiovascular disease, we’d say, “No, they haven’t had a lot of cardiovascular.” In fact, they had a low level of cardiovascular disease as far as we know. All of this is, of course, is fraught with testing difficulties. I don’t know if this is a good analogy or not, but I go back to this thing about blood fats. In the 1950s, heart disease was not on people’s radar, really, until President Eisenhower had his heart attacks. He was one of the first persons to have his cholesterol tested. It was a new test, and that was all they could test. They couldn’t look at triglycerides. They couldn’t look at HDLs versus LDLs, etc. all the fancy things we can do today. That was all they had. So they looked at him and said, “Well, your cholesterol is high. You’ve got all this stuff in your arteries. You’re having these heart attacks. Go on a low-fat diet.” That was the only tool they had. They said, “Okay, well, let’s do this.” Well, as he went on a low-fat diet, his cholesterol went up even higher. That gets into all sorts of issues. But that’s sort of like the MTHFR now. It’s like, some people, because of their limited knowledge, think, “Well, that’s the only thing we have. Let’s look at that and see if all your health problems have to do with that.” Well, sometimes they are but, most of the time, they’re not. It’s going to be some other gene that we may not even know about yet. DrMR: Or, to your earlier point (and this is also a question), are you seeing—I’m just using arbitrary numbers here—maybe 30 detoxification-centered genes on the reports you’re looking at, and if you see more than five of those at the slow function, are you then considering intervening? Is that kind of how you’re looking at this? More of a global genetic assessment rather than one single-nucleotide polymorphism? DrMR: It sounds like you feel that you glean some pretty helpful data, in terms of how to specifically create a detox protocol for someone from genetic testing. Is that fair for me to say? DrTB: Yes. I would hedge that by saying, given the state of the world and the toxic level, I think that everybody needs to be detoxing all the time. I don’t mean that everybody needs to be fasting, going into saunas, and doing heavy-duty things. It could be that they just need to be taking more vitamin C, or they need to be taking something that helps their glutathione levels. Or there’s genes that have to do with liver and gallbladder function. All of your genes having to do with eliminating chemicals that you’re exposed to could be working just fine, but your liver and gallbladder are not secreting those and getting rid of those in a timely manner. So yeah, you can narrow it down. Part of the question is, who needs genetic testing? I find that it falls into three categories. It’s the people who come in and are really excited about it, the true believers, the people who do every kind of testing and who really want to know everything their tests, about their health, because they’re athletes or for whatever reason. I think that’s fine. If you want to know, good on you, and you’ll take actions that’ll actually manifest. More commonly, it’s the people who, like I mentioned earlier, have been to many doctors. They have some sort of complex health problem that nobody’s been able to figure out. There’s not a really good diagnosis. They might be put into some basket or another, but it doesn’t quite fit. Then the other group is the people who are not responding like you think they should. You know that their condition often responds well to X, Y and Z nutrients. Why aren’t they responding well? My contention is, when I read an article or see that somebody’s giving a lecture on the power of glutathione and how we all need to be doing things to increase our glutathione, or our X, or our Y, or whatever, I think that’s really old medicine. Yeah, maybe a lot of people would benefit from taking vitamin C, but not everybody. There are people who actually get worse by taking vitamin C because they have certain genes that complicate their lives. Rather than saying, “Oh, vitamin X is really good. We should all be taking that,” it’s like “Oh, no, no, that’s old medicine. What we need now is the vitamin that works for you.” What vitamin or mineral or detoxification program or dietary modification is the one that Michael is going to really excel by having? DrMR: Yeah. Well, that’s the promise of gene testing, and it sounds like, at least from my perspective, there are a few areas that are interesting. Probably many that need to be further developed. I suppose we could say that everything needs to be further developed. There are some that are actionable or more actionable than others. But I think this has been a very helpful conversation to go through some of the particulars and look at how a clinician like yourself is using those. It’s certainly been informative. I know you have a website where you write about this, and also you offer consultations for people, so can you tell them where they can track you down on the internet? DrTB: Yeah. I have a website and a Facebook, naturaldnasolutions.com. That basically says some of the stuff I’ve said today and some more stuff. I have some videos, also, on a YouTube channel called Tom Ballard, ND (as in nice doctor). People send me their 23andMe or ancestry.com raw data, and I take that and I turn it into a report that’s anywhere from 130 to 180 pages, depending on how many gene variations they have. I try to explain it in understandable language, but it can get pretty technical. I have a little bit of preliminary information—information about genetics in general, sort of background—and then I talk about their specific genes. I talk about the variations they have. I think what’s really important and missing from a lot of reports is, I’ll tell the gene, I’ll say what it’s supposed to be doing—for instance, processing folate, a simple explanation of what it does—and then what could possibly go wrong if it’s not working well, and what disease or symptoms are associated with that. Then, I think most importantly, I cover what you can do to change that, what you can do to nurture that gene to make it work better. From there, I encourage people to take that to their local doctors. I get these from all over the world. Hopefully, they have somebody in their area that has familiarity or at least an open mind to this, and can read it and cooperate with them on doing the testing, for things like blood pressure and blood testing that would confirm or deny that this is a condition. I don’t encourage that a lot. I’d rather have somebody work with their local doctor, somebody who knows them. There are a lot of people who can’t find that. Or I’ll work with their naturopath. Maybe they’re seeing a naturopath and I’ll work along with them on doing that. That’s been really rewarding work. I’ve really enjoyed meeting these people from all over the world and helping them with their complex problems. DrMR: You’re using, as the data for your reporting, the 23andMe results? DrTB: My system can use 23andMe or ancestry.com, the raw data. DrMR: How many genes are you roughly getting with either of those? How Much of Your Genome Is Analyzed in the Test? DrMR: Okay. Now, pardon if this is an ignorant question, but is there a much higher level of specificity that we can get with gene testing? One of the people we’ve had a conversation with claimed that those tests weren’t giving you enough genetic information, so they recommended their own genetic testing version. I was under the assumption that Ancestry and 23andMe were giving an abridged analysis of the genome, and this other company was giving a more complete one. Of course, there are only so many genes, and I actually don’t know how many there are. Pardon the ignorance here. I can’t even remember the last time I heard that or looked that up. I’m wondering, what’s the no-BS take on that? Was I a little bit misled there, or have I misinterpreted what I’ve been told? DrTB: Well, I don’t know. It goes back to what you say. We need to be doing a lot more research on all of this. Unfortunately, 23andMe changes periodically. For instance, one of the functional categories that I look at is a person’s ability to metabolize alcohol. They used to give two genes, and now they only give one. For some reason only known to them, they stopped giving a report on one of those. There are other examples of that too. Their business model is the manipulation model. Their model is that there are these genes, and we are these really smart humans, and we can figure out how to manipulate them by inserting viruses into them or giving them drugs or somehow changing their function, and we’re going to make them work better. DrMR: I just looked this up. There are, apparently, from a quick search and Wikipedia’s result, there are about 19,000 to 20,000 genes, so with the 23andMe, you’re part of the way there, but it sounds like there is a more robust analysis that could be done. DrTB: Oh, yeah. You mentioned the MTHFR and how hot that is. But mostly, people only look at two of those genes. There are, I think, maybe 10 or 12 MTHFR genes that mostly aren’t even looked at, because the research hasn’t been done on them yet (or they haven’t had the powerful influence of the two that have had the most research). Yeah, it’s an ongoing problem. And we have to make some educated guesses. Again, it’s taking the patient, their history, their physical exam, and the genetics. The one book that I’ve written about this is Genetic Health Reports where I talk about what a genetic health report is, what I think is a good one, the strengths and weaknesses. I give examples of some companies and, for instance, how many genes that they test, whether they give a breakdown of what the gene does or what you can do to fix it, etc. I first wrote that book, I think, three years ago. After a year, I did an update on it. At the time, I wanted to include all the companies that did genetic health reports. Naïve that I am, after another year, it just became, “I can’t do this.” There are too many companies coming online. It’s a very hot topic, and there are companies coming out of the woodwork, so to speak, that are doing this. I just can’t keep up with it, but the book still serves the purpose of talking generally about how they operate. My new book that I’m hoping to get published this year is called Genetic Wellness, and it talks more about what you can do to nurture your genetic nature. That would be the synopsis of the book. DrMR: Great. Are there any parting thoughts that you want to leave people with on this topic? DrTB: Yeah. I think that we are both right. I think that you’re right to be skeptical. I think there is a lot of misinformation, maybe even some avarice out there. But on the other hand, I think it’s important for people to be aware of this and be open to it, especially if they’ve got some complicated things going on in their health that they haven’t been able to pin down. DrMR: Well, I certainly appreciate your circumspect approach to gene testing. It’s definitely nice to hear that, and I appreciate the narrative and your going through these examples and indulging my skepticism on these. I’m sure people will get a lot out of it, so thank you again, Tom. I really do appreciate your time here. DrMR: Yeah, been a pleasure. Is folic acid really bad for us. I’ve been reading this a lot. It’s in my multivitamin and processed foods. Apparently it blocks our folate receptors? Should we look for a multivitamin with folate instead? Dr Ruscio has an interview on methylation with Dr Kara Fitzgerald where they discuss that topic: https://drruscio.com/finally-reasonable-dialogue-methylation-dr-kara-fitzgerald/ Give it a listen, hope it helps!